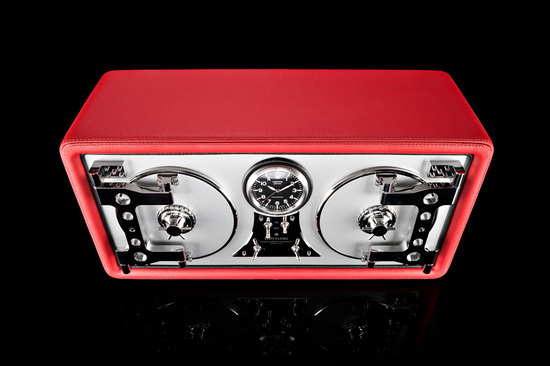 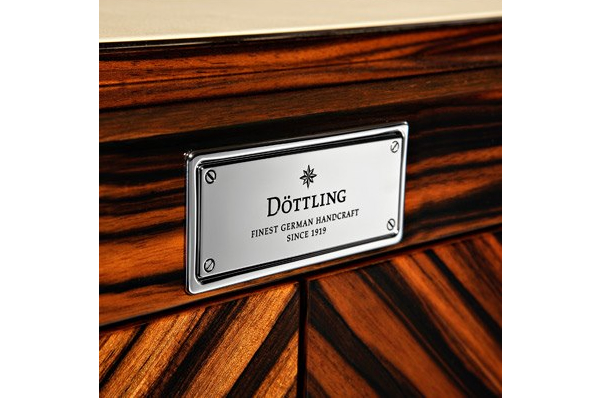 That Döttling has an incredible collection of safes, humidors and watch winders is a well-known fact. 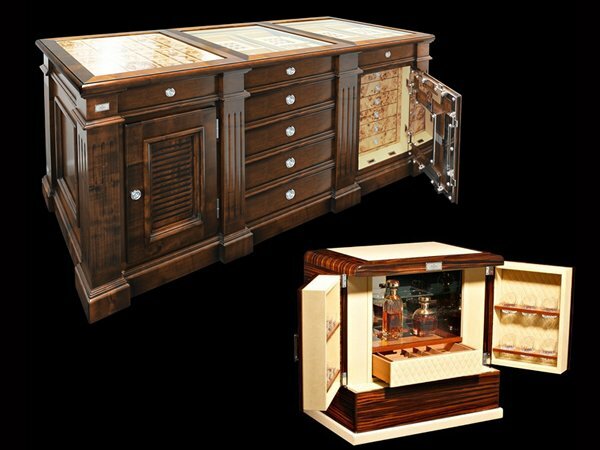 Now the brand has introduced its new products to its furniture line dubbed Safiture, the Closet Island, and the liquor and cigar cabinet. 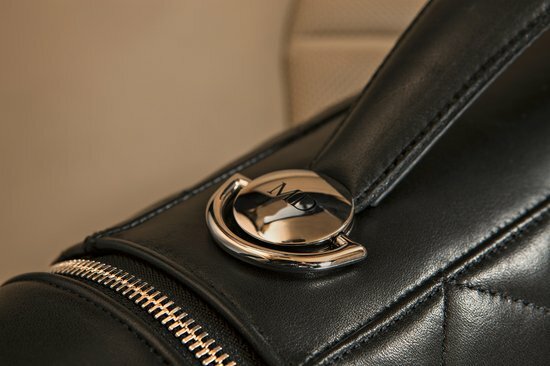 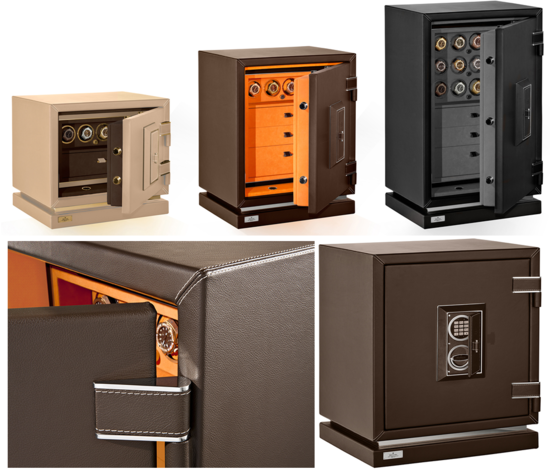 Safiture, the world’s first and only line of security furniture, is a series of high-quality furniture that does not reveal the fact that the interior houses optimally protected storage for valuables of all kinds. 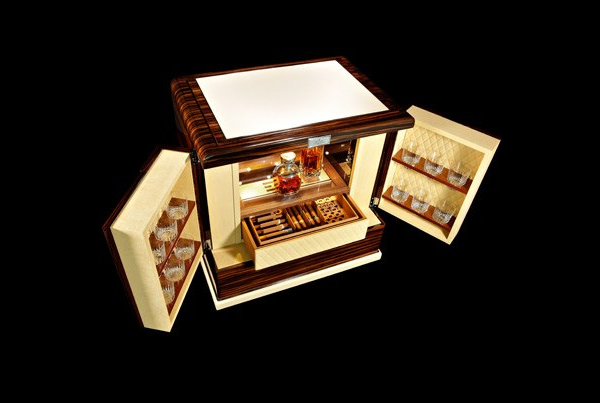 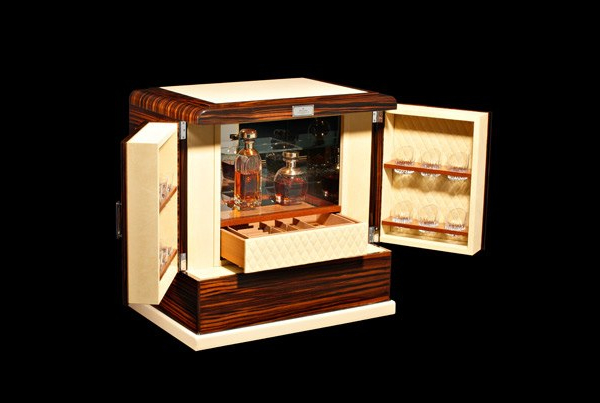 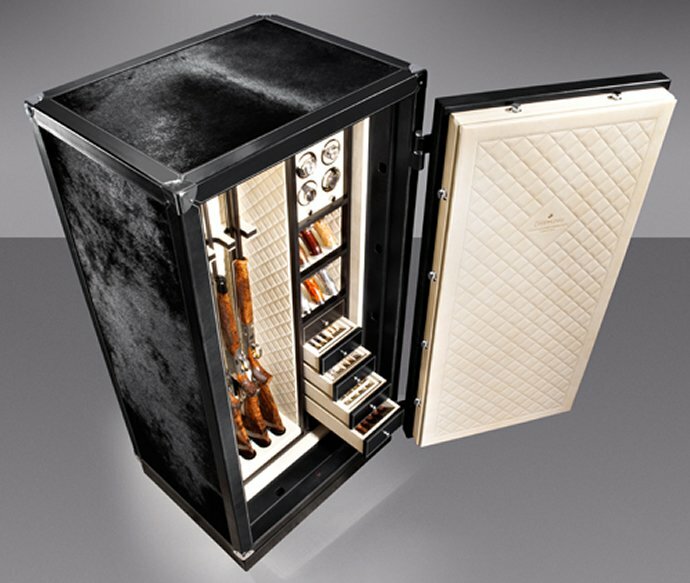 The Liquor and Cigar cabinet has been crafted using Macassar veneer with goat suede lined interiors. 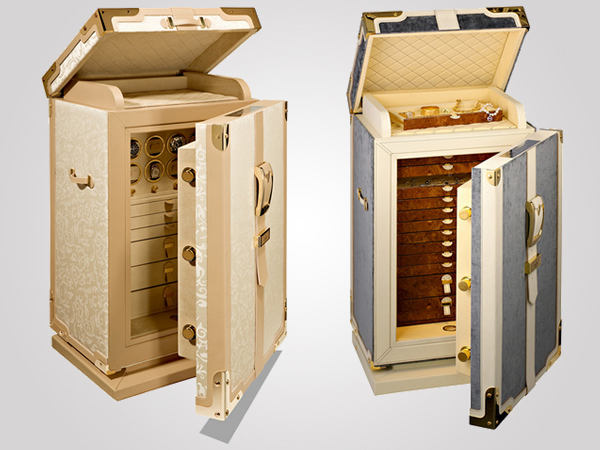 It features an original Spanish cedar humidor and has a digital humifying system in place. 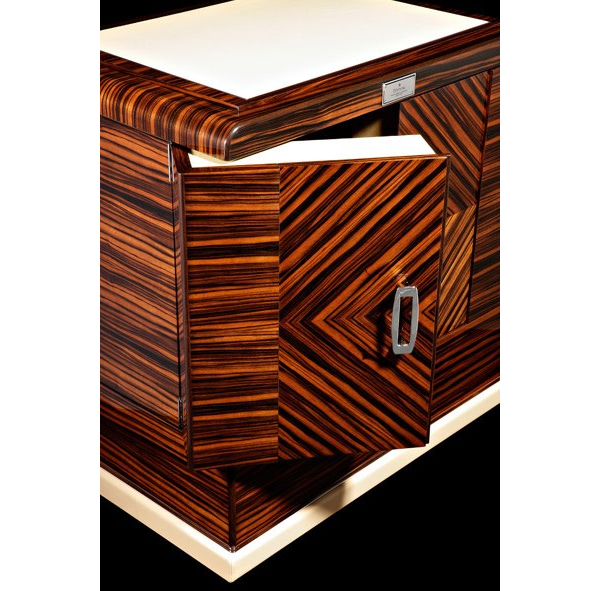 Completely customizable, the cabinet can have additional vanities such as an owner-operated secret compartment for the storage of valuables. 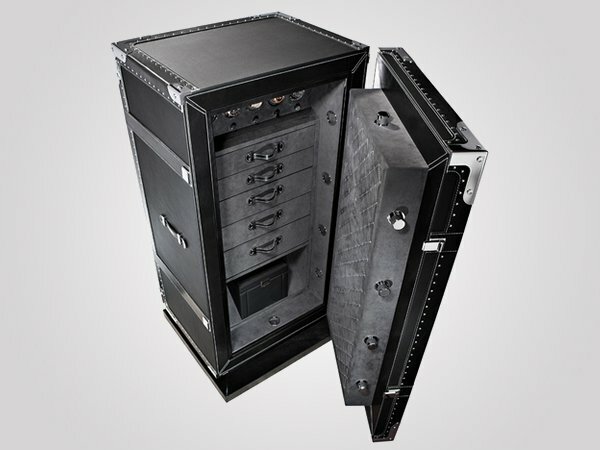 It starts from €60,000 ($90,000) onward. 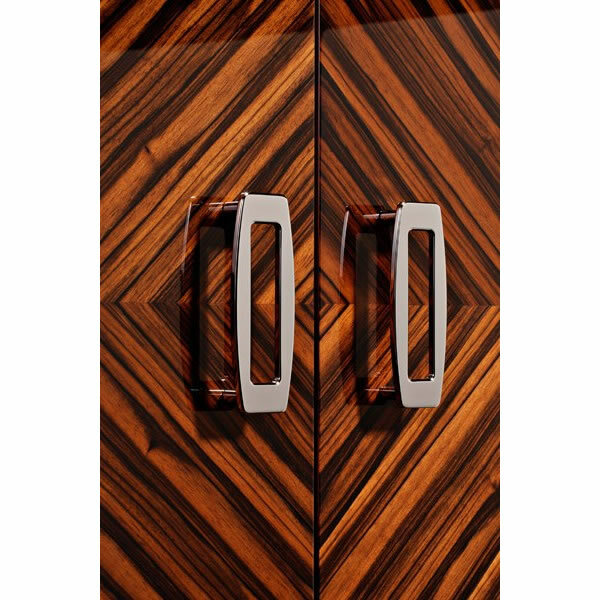 The Closet Island, which was originally planned only for a single customer, features high-security drawers with an integrated electronic safe lock. 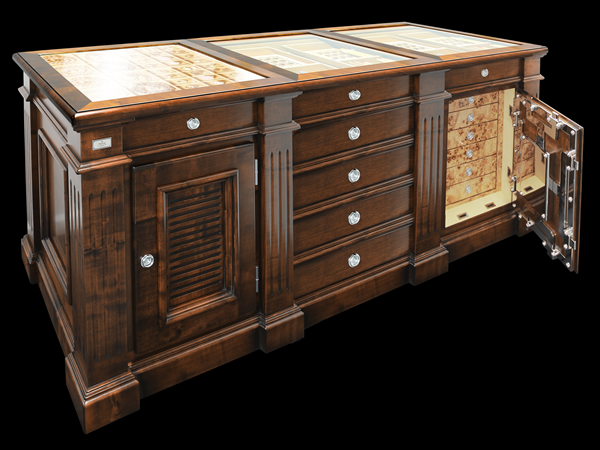 A code input field to unlock the drawers is nestled behind its front panel. 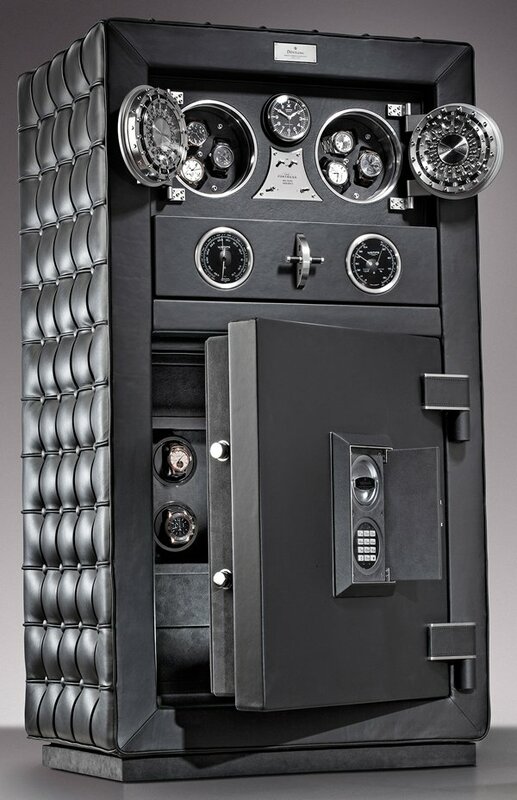 Crafted in solid steel with bulletproof glass panes the safe comes with custom-made interiors, which includes a variety of leather options. 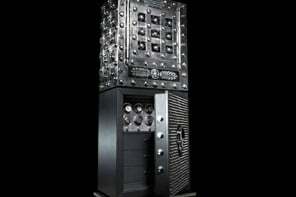 The only piece yet has been sold for €150,000 ($225,000).